Events are free to create and simple to set up. Not quite ready to get started? Get in touch with us for more information or a free demo with one of our event specialists. We’ll walk you through the process and show you how to best use our features to create your next event. From pre-event marketing to day-of support—our suite of features will help you set up your event for success. Gain real-time access to participant data. With our industry-specific, customizable reporting and analytics, as well as our Google Analytics integration, you can maximize your ability to track and analyze participant and registration trends. Events are free to create and free to manage. Fees are only applied to transactions over $0. You can choose to have participants pay the service fee or cover a portion or the entire fee yourself. Plus, you can access your funds anytime. You can choose a payment method and schedule that suits your needs. Request your funds at any time. Build a customized registration site to suit your event’s needs. 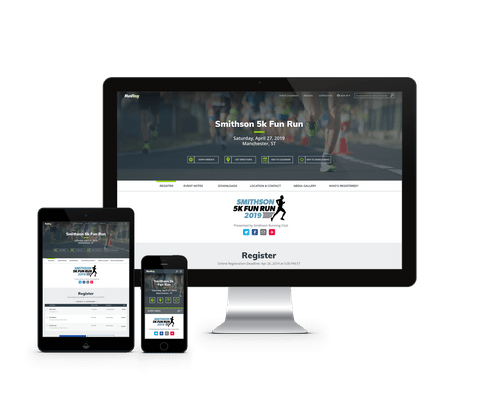 Create a free event registration site with our customizable, responsive template, or create a custom-branded page right within your own event’s website. Integrate fundraising with your event—instantly. 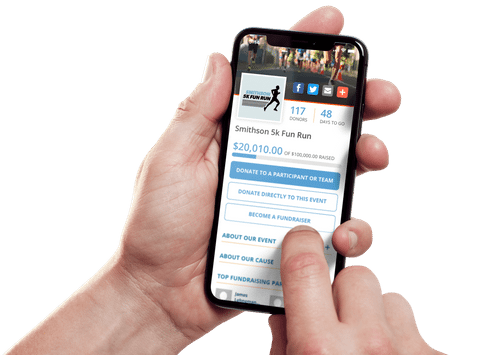 PledgeReg, our intuitive peer-to-peer fundraising system, seamlessly integrates with your event registration and immediately generates personalized, customizable fundraising pages your participants can share via email and social media. Day-of registration has never been easier. 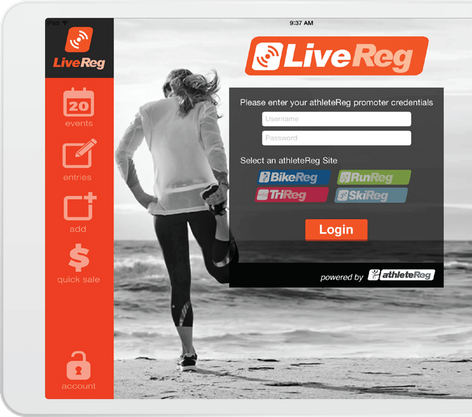 With LiveReg, our on-site registration and payment app, you can integrate your event’s day-of registration with your online registration to keep all your data and funds in one place. 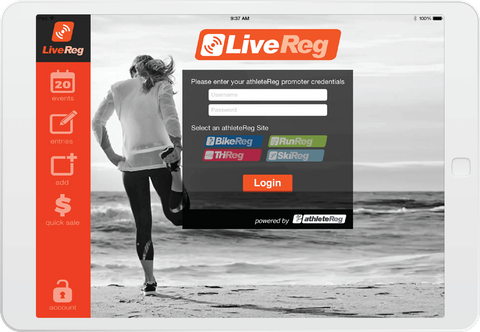 Use LiveReg as a basic point-of-sale system, a data entry tool, or a full-featured paperless registration system. What’s the real RunReg Advantage? A team of experts dedicated to your event’s success. This isn’t just our business—it’s our passion. We are lifelong athletes, event directors and participants. Whether you’re new to the industry or a seasoned pro, our event specialists are here to guide you every step of the way with expert insight and advice. Sign up for an event director account and start managing your event!